We hope the astronauts aboard the space shuttle Atlantis on her final mission remembered to pack a few bottles of red wine — a smooth merlot, or light and fruity pinot noir, maybe even a robust malbec with a bit of kick to it. That’s because, according to researchers in France, drinking red wine can counteract some of the most common physiological effects of microgravity. Bone Deterioration. Our skeletons developed in response to Earth’s gravity, and the stress of all that weight-bearing activity actually encourages the formation of bone and strengthens them by increasing bone density. That’s why health experts often recommend weight-training regimens to ward off osteoporosis in older women, for example. In the shuttle’s microgravity environment, that constant stress is missing, and over time, this can lead to bone loss and demineralization of the bones. Muscle Loss. The microgravity environment also means it takes less effort to perform simple movements in space than it does on Earth. So even though astronauts follow an exercise regime during their mission, their muscles will start to atrophy over time. Weakened Immune System. Roughly half of all astronauts experience something called Space Adaption Syndrome, experiencing nausea, headaches, sweating and lack of energy for up to three days as their bodies adjust. It happens because the microgravity environment results in a lowering of the immune system’s response and decrease in the number of cells available to fight off infections. ANALYSIS: What Happens to Snails in Space? Other physiological changes might include dehydration — the result of fluids shifting from the lower body to the head and upper body, because the downward pull of Earth’s gravity is no longer keeping them down. The brain then decides there is too much fluid in the body and tries to get rid of the perceived excess. (Microgravity: the natural diuretic!) Except it’s not really an excess of fluid, and an astronaut becomes dehydrated. The cardiovascular system also takes a pummeling during space tracel. Scientists aren’t sure why, but apparently long periods of microgravity decrease the production of red blood cells, leading to “space anemia.” The heart also beats more slowly, since it requires less effort in microgravity to keep blood flowing through the body. Oh, and did I mention the flatulence? Ahem. A nice glass of fine bordeaux won’t fix all those issues, but it might help alleviate some of the most common ailments. 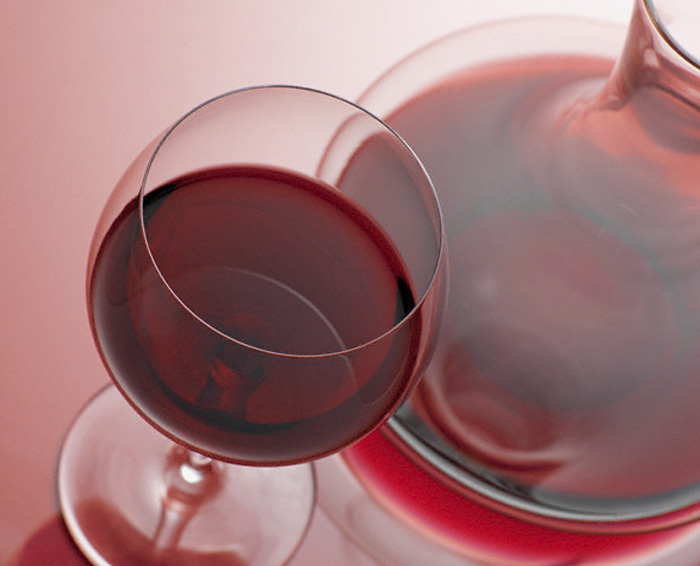 Scientists have known for awhile now that red wine contains resveratrol, an antioxidant that prevents blood clots, lowers “bad” cholesterol levels, and just helps protect your blood vessels in general. And now it seems as if resveratrol can also prevent bone density loss and muscle atrophy. The French researchers took a bunch of rats and placed them in a simulated microgravity environment for extended periods — actually, they just hung the poor rodents upside down by their tails. Half of the rats received doses of resveratrol and the other half did not. Lo and behold, the rats that didn’t get the supplement showed loss of bone and muscle density, along with the early signs of pre-diabetes (insulin resistance). If you’re thinking that now you can be a couch-potato guilt free, sipping on a nice glass of wine while watching Apollo 13 for the 100th time — all without suffering the usual ill effects on your health — there’s a catch. (Oh, c’mon, there’s always a catch.) The rats needed quite a bit of resveratrol to counter the effects of microgravity — way more than the amount contained in one or two glasses of wine. They might even have ended up in rat rehab before finding their way back to the lab.